Email marketing is the hardest marketing there is. There’s a fine line between a great marketing email and spam and most people don’t recognize that line. At the same time, though, inbound marketing wouldn’t work without an email component. Why are you harvesting leads’ emails addresses if you’re never going to use them? Much has been written on best practices for email marketing, tools to use, tactics to take and everything in between. Workflow emails are an art unto themselves, on the other hand. Receive an email thanking you for downloading the book. In that email there might be a link to an eBook on why you should wear sandals on hot days. The next week you might receive an email that reminds you that the proper shoe selection is vital for comfort and give you some more examples. A few days later you’ll likely receive a case study on how someone didn’t get frostbite by wearing the proper snow boots. Maybe a week will go and you’ll receive an email with a calculator where you can calculate your savings by buying quality shoes once over inferior shoes every couple of months. You’ll receive another email in about a week with an offer to schedule a meeting with a shoe salesman or to call and set up a strategy session to go over the proper shoe for you. If you don’t respond to that, hope will begin to fade, and you’ll receive one last email. This one will wish you well on your future endeavors and probably ask you to subscribe to their blog. Above, in a nutshell, is your basic workflow pattern. Unless the company has a good marketer, though, you likely don’t recognize this because you’ve unsubscribed or marked as spam long before you get to the “break-up” email. Which Persona is Getting Enrolled? This is the really hard part and the most important part. 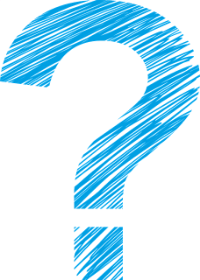 If you get this right you can get some serious reconversions, or people downloading additional content besides what they originally downloaded. When you put multiple offers in an email and see the same lead download every one of them within a few minute span, you know you did your job right. To do this, though, you have to first, have a detailed understanding of who your personas are and have a voice that you speak to each of them with. Then you have to come up with a series of emails for each persona. This is where workflow creation becomes a long, creative and tedious process. To get an idea of where I start, I have at least two workflows for every person who downloads an offer. As an example, download our Buyer Personas Workbook. You’ll get an email five minutes later thanking you for downloading it and asking you to save this email in your files for when you need it again. Next, you’ll get an email in a few days thanking you for downloading the offer and letting you know that within the next few weeks I’ll be sending you more. Depending on which persona you are, which you told me when you filled out the form, the verbiage will be presented in different ways. The message is the same all the way through, the way I present it and the additional offers that are presented are what changes. How Long Until the “Break-up” Email? How long should the workflow take from the beginning to the end? The goal of inbound marketing is to work a lead from the top of the funnel to the bottom of the funnel. Eventually, there has to be an end. This question can be a bit industry specific. Some industries have longer sales cycles, so that’s something to be aware of. A complex SaaS company might have a six-month workflow cycle whereas a marketing agency might set there’s up to end in about five weeks. Research, A/B testing, common knowledge and intuition should be used to determine the proper time-span from beginning to end of your workflow. Which Offers Do You Present Along the Way? The number of offers you have available will be key in determining the time-span and the number of emails set up in your workflow. If you’re lucky enough to have fifty offers divided equally between top of the funnel offers (eBooks, whitepapers, podcasts) and middle of the funnel offers (case studies, calculators, quizzes, infomercials) then you can create a nice long workflow. If you only have a handful of offers then you’ll have a shorter workflow with more verbiage and fewer items for people to click through. The fundamental rule is to offer top of funnel content before middle of the funnel content. 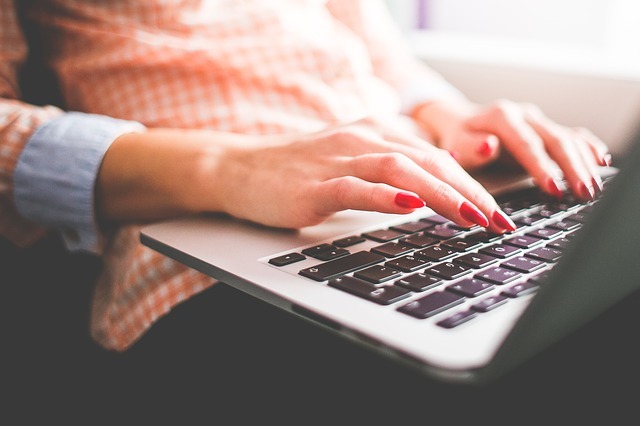 Always offer a link to the contact page and an easier way for leads to respond, such as replying to an email or highlighting your phone number. How Many Workflows Should You Create? The number of workflows should depend on the number of personas you have. Above I explained how I set up two workflows per persona; one simple one that consists of only one email thanking them for downloading the offer, then the complex, persona-based workflow. You’ve already seen the example of the simple workflow I provided from the persona workbook, right? If you are not going to divide workflows based on personas, one will suffice. You can simply use your thank you for downloading email for the first email in your workflow. How Often Do You Update Your Workflow Content? It’s a lot of work to put together good workflows. Once you have them in place you’ll likely be ready to be done with them. Bad news, you never will be! Workflow emails need to be evaluated. You should adjust them according to their performance. If you happen to see one that is not performing as well as the others, or one that is consistently causing people to unsubscribe, rework the content. As you create more offers, update the emails to include them or add more. When someone enters the workflow watch the lead work down the path. You can judge which offers he or she deems more interesting and call an audible if necessary. You could unenroll them from the workflow and create a new one just for that lead. Email versus spam might be a fine line, but a well thought out message to an interested party will always go over well. If you’re willing to put in the time and effort your email marketing will succeed in not only reconverting leads on new offers but also working them all the way through the funnel until they’re eventually customers. Get started with the Buyer Persona Workbook by clicking below. 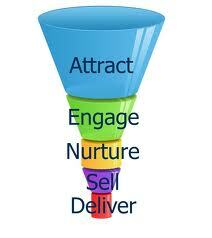 Develop your personas, create your workflows and nurture leads through the funnel on their way to becoming customers!